I specialise in residential and commercial conveyancing which includes commercial landlord and tenants, the granting and renewal of leases, preparation of wills and trusts including inheritance tax planning, the administration of estates, lasting powers of attorney and court of protection. 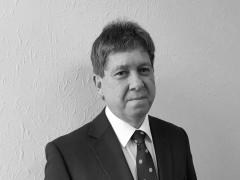 I have practised for over 25 years locally as a private client solicitor assisting both the commercial and private client in a wide variety of business commercial and property matters, personal attention to the preparation of wills, lasting powers of attorney and the administration of estates. My clients are attended personally by me either at the firm’s offices, or if more suitable at their homes or other place of business.